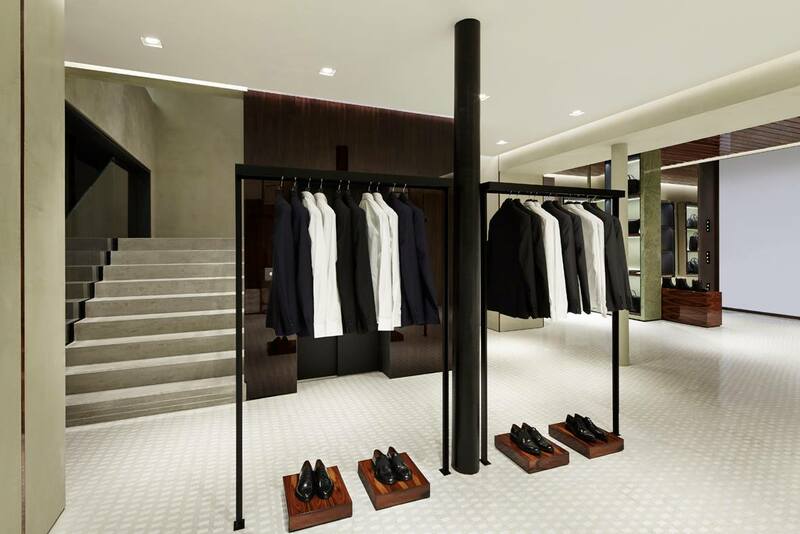 After Moncler and Fendi , it’s time for the new Givenchy store to open his doors in the “Le Marais “neighborhood, at Rue Des Archives 13 precisely. Around 465m² of fashion space created by Riccardo Tisci , playing with different contrasts that are in perfect harmony with the collections , laying the foundations of a new architectural breath. Marble walls , premium marquetry to make the whole thing “chic” in contrast with the rough concrete walls or the white tiled walls that are used to expose the accessories , the walls remind me of the ones you see in the subway. The huge Persian carpet that covers the middle section of the store is really beautiful and of course wink to the A/W 15-16 runway collection, and returns also in the brands vocabulary and brand codes. Let’s call this store , “un petit bijou d’architecture en soi ” that plays perfectly with the Aristocratic and bourgeois history of the house with the playful , sweet and street style of the designer. Posted in HOME and tagged architecture, Fashion, france, Givenchy, lemarais, luxury, mensfashion, mensstyle, menswear, newstore, opening, Paris, pfw, ruedesarchives. Bookmark the permalink.